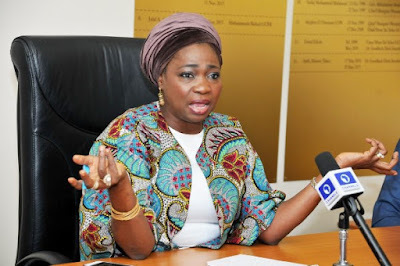 The Federal Government is set to repatriate 116 of the Nigerian migrants trapped in Libya slave camps, say the Senior Special Assistant to the President on Foreign Affairs and Diaspora, Mrs Abike Dabiri-Erewa. Dabiri-Erewa said this in a statement by her media aide, Abdur-Rahman Balogun on Sunday in Abuja. She said that the Federal Government and the International Organisation for Migration (IOM) have located the detention camps of the Nigerians, and offered to bring those willing back home. The Nigeria Mission in Tripoli, she said, had traced the migrants to Osama Detention Centre, Zawiya , Libya. According to her, 116 Nigerian migrants have been processed online by the Nigeria Mission and IOM for repatriation back to Nigeria. However, 24 of them insisted they must get to Europe. She said that Federal Government moved to rescue the detained migrants after their plea for assistance through video clip from Libya on July 8. The migrants had in the video said they were being tortured to death daily under a dehumanising condition. ” We are dying here. Come and rescue us. Europe is our final destination but we are trapped in Libya subjecting us to inhuman treatment”, one of the Nigerians said in the video. Dabiri-Erewa said that 9,438 Nigerian migrants had so far been repatriated by the Federal Government and the IOM. President Muhammadu Buhari early this year directed immediate evacuation of Nigerians from Libya. According to her, those that have been brought back are being profiled and enrolled in various technical and vocational training centres with relevant agencies and NGOs. She appealed to Nigerian youths to avail themselves the opportunities in the country as against risking their lives to search for a non-existing and deadly greener pastures abroad.